Building machinery, equipment and furniture for the medical, surgical and pharmaceutical sector is a true technological challenge for companies in the industry. The material has to meet strict standards for safety, quality, reliability, precision and hygiene. Most of the equipment, in one way or another, is in contact with patients and medical staff and is also, on many occasions, key to saving many lives. Manufacturers in this sector are fully aware of these circumstances, and, for that reason, in recent years they have invested significant time and energy in R&D to improve their products. 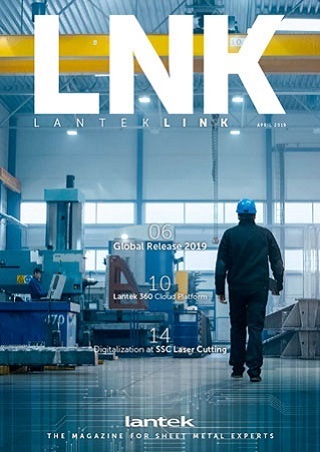 In this process of continuous improvement, they have found a significant ally– Lantek. With its software solutions for companies that produce pieces from sheet metal, tubes and profiles with any kind of cutting technology (laser, plasma, oxycut, water jet, shear) and punching, it has enabled a notable increase in the quality and safety parameters of the entire sector due, among other things, to the excellence of its CAD/CAM tools and their capacity to integrate with previous management systems. Due to the breadth and variety of surgical techniques, companies in this field have developed a wide range of tools that are used for specific operations that require special materials that are strong, durable and custom-designed. There is also a significant line of products for sterilization and cleaning, as well as a set of equipment for laboratories that includes, for example, standard furnaces or devices for research on liquids. It is important to emphasize that in the medical and surgical sector in particular, and in the health industry in general, quality, safety and hygiene are key elements, and absolute control over manufacturing processes is necessary to achieve them. The complete integration and compatibility of the different Lantek solutions help achieve this goal since they are perfectly compatible with the MES systems specific to this type of medical and surgical industry.